Suzi and I are in New Mexico where we can probably score citrus by the boxload. There is much more to citrus than juice and this book proves that. Take a look, get some lemons and limes and enjoy the power of citrus. Here’s the 2015 review of a superior cookbook. We are weeks into fall and it’s that nostalgic time of year. Green is disappearing from our trees, replaced by the reds and oranges that announce the growing season is over. Farm stands offer up the final bounty of summer and that late fall corn. Fresh food times is nearly at an end. That’s what we all think. And it’s wrong. Because beginning now and through the winter is the season for citrus. 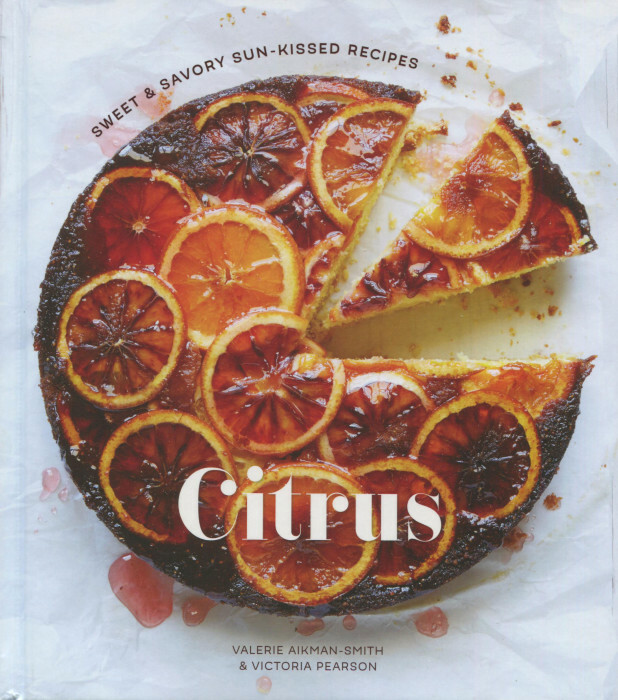 To leverage the winter citrus crop to the last drop, we now have Citrus by Valerie Aikman-Smith and Victoria Pearson. Victoria lives in the Topa Mountains of Ojai, California, surrounded by citrus groves. Valerie and Victoria have produced a volume of recipes that you can start with today and walk your way through all the way to next spring. It’s a beautiful little book, with lovely photographs of lively recipes. 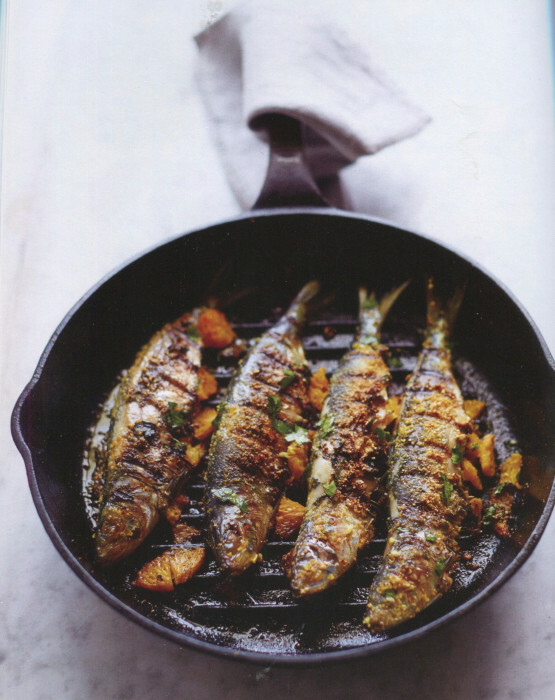 At the end of this post, there’s a picture of their Grilled Sardines with Orange and Polenta. That’s typical of the recipes in Citrus: something different, needing just a little time, offering such a bounty of flavor. Citrus is filled with recipes that will catch your eye and perhaps command your attention. While the recipes display a sophistication of flavor combinations, they are easily executed. Typically, the recipe has a half dozen ingredients and that many well written paragraphs for preparation. The writing is direct and easily followed. Nowhere here will you get lost in mid-recipe. It’s a smart book. It turns out that winter does not have to be filled with fondness for the freshness of spring and summer. Winter has its own bounty of citrus tartness. Citrus is your introduction to winter satisfaction.